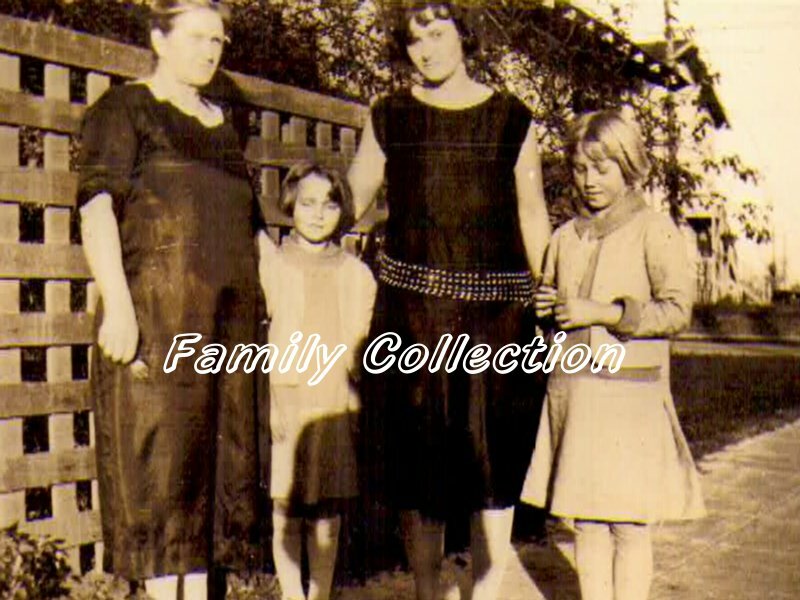 Carole and her mother Clara had a very special bond ... Clara Sentek Ridste was my great-grandmother, an extraordinary and misunderstood woman. I have one memory of her when I was around two and she made me a blanket. She was trying to hug me but she squeezed really hard and my grandmother came and got me because it freaked me out!! Clara really did love her family and enjoyed having great-grandchildren. I think a lot of people didn't really understand Clara or the way it was back then for a single mom to raise her children. Her story has never been explained and we need to look deeper into the person she was. 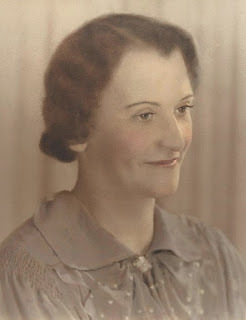 So I felt in my heart for Carole's mother whom she loved dearly and I wanted to open up and share a few things that were told to me about my great grandmother. The first thing to think about was the time that Clara was in and how hard it was for her to raise a family. Having two parents in the house was difficult enough but Clara had more stacked against her. She married Alfred Ridste at 17 and they were together for only a short time. By 1917 they had 4 children - Lawrence, Lewis, Jerome, and Dorothy. After the loss of their son Jerome Alfred had left Clara. She had to deal with the loss of a son, which I can't even know how to put into words how devastating that would be. Being a mother that would be your world crashing in on you. And then your husband leaves you and the children who relied on having a family structure. They lost a brother and then their father. Clara soon found out she was expecting another child - Frances Lillian Mary (who would become Carole). Clara had a neighbor, Charley Fenner, whom she became close with and moved in with him. Now in that generation you didn't move in with a man and not be married. I think she was sad and lonely that she needed companionship. Maybe she was a little liberal and a bit of feminist even though she didn't know what that meant then. 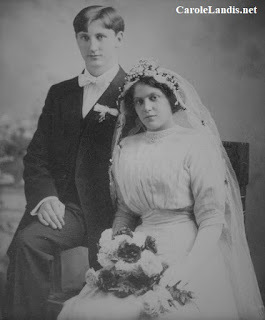 She married Charley but after suffering a miscarriage she left him. She made a decision that she felt was best for her and the children. After that relationship didn't work she had no choice but to find housing that she could afford and work near by. She worked ALL THE TIME and was only able to see her children in between her jobs. Clara and the children lived in the poorest neighborhoods. There was a mix of African-Americans, Mexicans, and let's just say they were the outcasts that no one wanted in there areas. I think that was the best thing Clara did for her children. They had small living quarters which kept the family close and they never judged people by their color or race or religion. In Clara's eyes they were all the same and understood each other because they were all in the same bad situation. The people in the neighborhood became family and they helped out with the children. That was stepping way ahead of there time. That was a fundamental experience that molded Carole at such a young age and made into a better adult. Now Clara gets a rap for being very strict and some think that means she wasn't a loving mother. Well, she had to be that way to make sure her children were disciplined and kept safe. They had chores at a very young age. Dorothy, being the oldest girl, had the biggest responsibilities to be the "mom" when Clara wasn't home. As time went on Dorothy would have Carole to help out. They weren't allowed to go outside and play unless Clara was home or a neighbor would be with them but only if Clara gave permission. If they were caught, which they were a few times due to Carole's free spirit, they were punished! 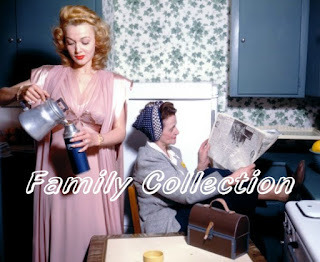 All chores had to be done everyday and Clara relied on Dorothy to make sure it got done. If Clara came home in between jobs and it wasn't they knew she would be swift to get the "switch" and that wasn't pleasant. Dorothy always wanted to please her mother and for the most part she did. 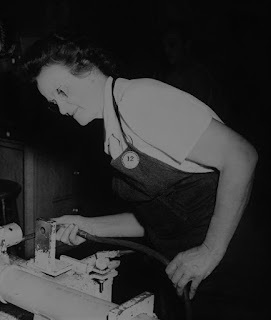 It was disappointing to Dorothy if she didn't make her mom happy and had to make "games" out of the chores so that Carole would get it done on time. But Clara would also try to reward her children when she would take in "extra" work and give them money for the movies or to get ice cream - that was the girls favorite treat! Clara would get home from work as 1:00 A.M. and the girls would wake up to the yummy smell but knew they had to wait until the next day. Even though Clara was short on time she still did that for the children even though she was exhausted from working all day long. 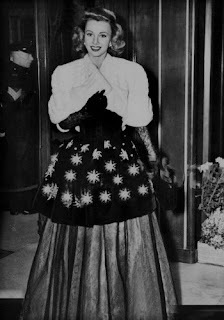 Clara did try to find love again - she was engaged to man named Joe L. May in 1929 and in 1935 she married John Dillon in Las Vegas. None of these relationships lasted very long. Clara didn't want her girls growing up. They both developed early so she made them wrap their breasts and they weren't allowed to date either. When Carole left at age 16 it was really hard for Clara. 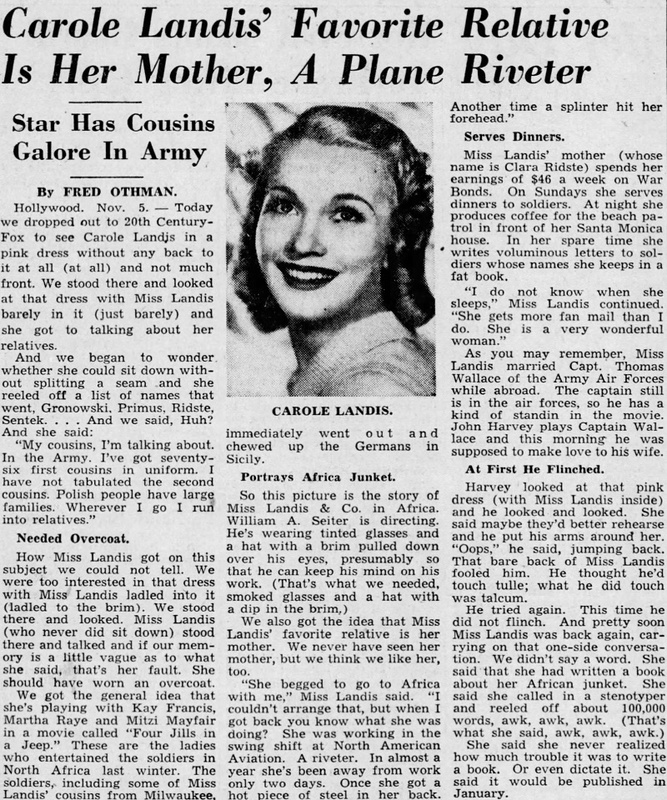 I think it was a feeling of abandonment due to her husbands leaving and she didn't really understand Carole's strong will spirit and determination to go out and fulfill her dreams. 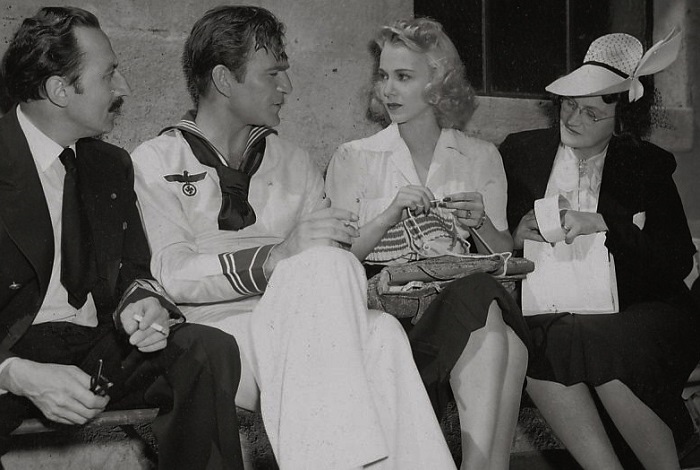 Clara became strict with Dorothy especially when she fell in love with my grandfather Walter. 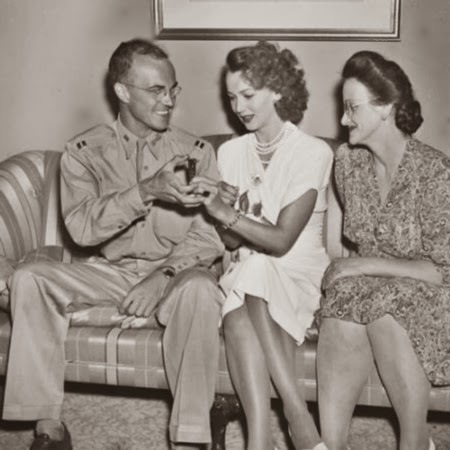 Not only did Carole elope but Dorothy took off with Walter and got married at 17. After not speaking to Dorothy for a while Clara made amends when she saw how good the two were together and that Walter took good care of her daughter. I think Clara was a stubborn women due to her situation in life and really didn't want her daughters to go through the same hardships. She was set in her ways and it took awhile for her to let some things go and just realize her girls turned into independent women who learned from their mother. As time passed she became a grandmother and enjoyed having grandchildren around. It was a second chance for her to love on the babies and see young children grow up. She was robbed of a lot of the joys of parenthood. She now could enjoy the time she spend with them all. 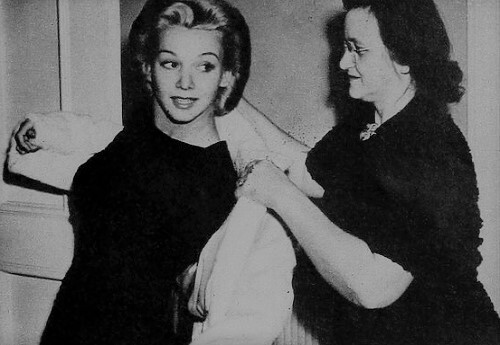 Clara kept busy with Carole and she was very supportive of her life and what was going on in her daughters career. 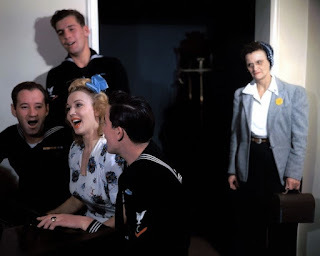 One of my favorite stories is that Carole came home from the studio to find a house full of servicemen. Great Grandma was cooking up a storm and told Carole "They needed a little piece of home". 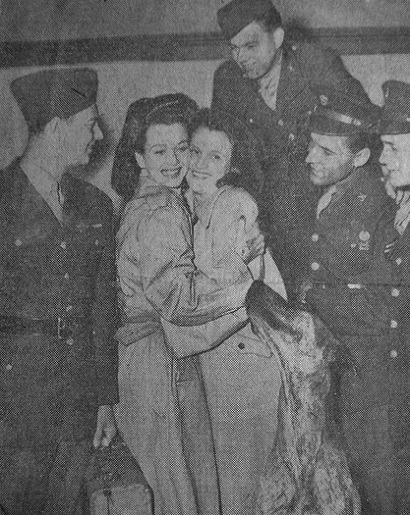 Of course Carole was tired but she loved giving to the men who were serving our country. They had a nice meal, went swimming, and were driven back. 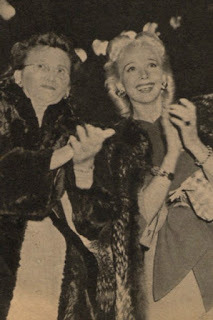 Clara would go out with Carole, enjoyed the attention, and was proud of her daughter. Carole spoiled her and wanted to take care of her because she knew how hard Clara worked when she was a child. This was Carole's way of paying her back. 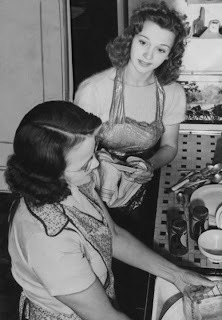 They enjoyed shopping and having lunches, and of course Clara would live with Carole. That was a winning situation for them both. Carole loved having many animals (you could say a mini farm was in her house) and when she was gone doing the U.S.O. tours Clara would be the caretaker of the house and the pets. And I think Carole really needed her mother to be with her. It was a safe and comforting to know her mom was there. When Carole passed away she was so broken and really didn't know what to do. She and my grandmother really didn't believe she had killed herself. 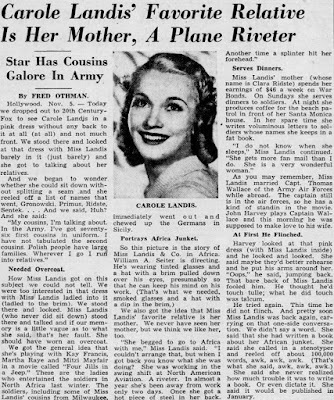 You can only imagine how she felt losing three children and Carole was the "baby" (that was Carole's nickname from her mom). Even though Carole had at other times written what I call "attention suicide letters" and I believe them to be only that, Clara and Dorothy did not feel this was one of those times. They couldn't prove it was foul play and there was a lot of circumstances that played a role in that, which I will address elsewhere on this web site. Clara was a woman of strength - she pulled herself together and did what she always did when there was tragic that struck her in her life. 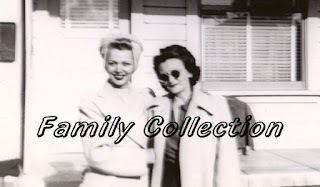 In later years there was a fire in her home that burned her badly and she then lived with my grandmother. My mom (Sharon Ross) had helped take care of her and Clara knew she was loved. At her nursing home she kept a photo of Carole on her nightstand and a nurse told us it was the last thing she saw before she died. When she passed away in 1976 I know she left the good things that were installed in her children. Dorothy was a amazing mother and a hard worker and she got that from Clara. Carole was the one who made dreams come true and Clara lived through her. Some of her big dreams changed and took a different course but she never regretted her dedication to her family. My final thought on Clara is that I have a great grandmother who in spite of the hardships she encountered showed us that your will is what you make of it - take things as they come, be strong, and move forward. I am blessed that I have her to look at and know that I and other women can do the same. 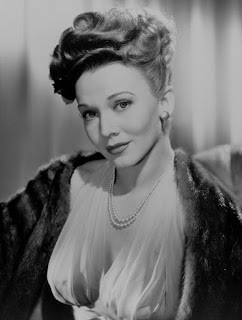 I have a love for her in seeing how my grandmother was and Carole as well. If they didn't have her as that strong mom they wouldn't have been such great and amazing women themselves.